PRESCHOOL STORY TIME is designed especially for children 3-to-6-years and their caregivers. Appropriate books and activities are thoughtfully selected for sharing. There is a stronger emphasis on reading stories and book sharing with this group. Other activities include music, movement, and language play. We have fun while building skills fundamental to learning to read in later years. It is also a great opportunity to make new friends! A free drop-in program open to library members. Our programs are planned for specific age groups so that you, your child, and the group as a whole can maximize enjoyment and learning. We intentionally include appropriate language-building activities in our Lap Times, Toddler Times and Preschool Story Times. For example, we use different books and activities for one-year-olds than we would use for three-year-olds, as they are at very different stages in their growth and development. Not sure which program to choose? We are more than happy to help you decide which one would be a good fit for your child! Children under 10 must be supervised by an adult at all times while in the library. 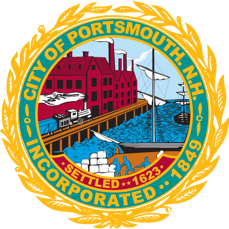 Please note: If Portsmouth public schools are closed or delayed due to bad weather, library programs will be canceled (even though the library will likely be open). Although unlikely, any program may be cancelled to to unforseen circumstances. Please call ahead in case of changes. Our Saturday Family Story Time is open to all ages. We offer this program so families can experience story time together. And we realize many families can’t make it to our programs during the week. We plan a mix of stories, music, movement, and language play and sometimes handicrafts to reach across a wider spectrum of ages. The goal is to enjoy stories at the library! All children under the age of 10 must be accompanied by an adult at all times. Toddler Time is designed especially for 2-year-olds (give or take a few months) and their caregivers. Suitable activities are thoughtfully chosen for sharing together (for example, book sharing, singing, finger games, rhythm and movement, language play). We have fun while building skills fundamental to learning to read in later years. And it’s a great opportunity to make new friends! Free and open to PPL members. Programs may be canceled due to unforeseen circumstances. Strollers may be parked near the front entrance. Children under 10 must be supervised by their adult at all times while in the library. Lap Time for Babies is especially designed for infants and one-year-olds (give or take a few months) and their caregivers. The varied activities we engage in together (for example, singing, book sharing, lap and finger games, language play) are fundamental to learning to read in later years. Not to mention it’s a beautiful opportunity to make new friends! © 2018 - City of Portsmouth. All Rights Reserved.